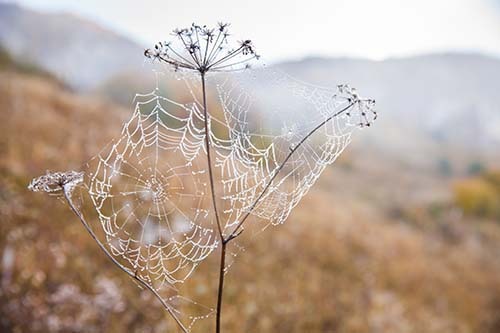 Dewdrops and landscapes that are covered with them are classic photographic subjects. There's very little chance that you've gone through your whole life thus far and never stopped to admire an image of a flower refracted in a dewdrop, or a spider's web covered with perfect droplets of water. If you've never tried to capture similar photos, you're missing out. It's really not that difficult, and this week I'm going to challenge you to do just that.